Tracey, Paul F., of Foxboro, died peacefully at home after a long illness on April 7th surrounded by the comfort of his loving family. Raised in West Roxbury, Paul was a graduate of Cathedral High School in the South End and studied at Newbury College. He was the loving son of William and Julia (O’Connell) Tracey and predeceased by brothers Thomas “Buddy” Tracey, William Tracey, Richard K. Tracey and sister Patricia Reardon. He was the brother-in-law to Dorothy Tracey and the late Ellen Tracey. Paul is survived by his beloved wife Janet (Nickerson) Tracey, sons Paul Vincent and his wife Julie of North Attleboro, and Philip Tracey of Providence, R.I., and daughter Gayle and her husband Michael of Squantum. He leaves behind five loving grandchildren, Jacqueline, Jennifer, Colleen, Dillon and Danny. Paul is also survived by many nephews and nieces, including his Godchildren Patty Dwyer and Patrick Reardon. He was the grateful friend of Nick and Debbie Sargent. Paul was a longtime member of the faith community at St. Mary’s Church in Foxboro. He loved spending time with his family and was a lover of animals, especially dogs. A history buff and the son of a World War I hero, Paul was particularly interested in military history and could answer any question asked about WWI and WWII. An avid golfer when he was younger, Paul enjoyed traveling to Florida to play. A fan of all sports, he loved watching the Red Sox, Patriots and Bruins. He particularly enjoyed baseball as a fan, and once as a talented player. While in amateur leagues, he played with and against many great pros and had particularly fond memories of his time on the diamond with Johnny Podres. Paul played all positions well, but was considered most worthy as a reliable and skilled catcher. Paul served a patriotic duty to our country he loved so much, enlisting in the US Army after his 18th birthday. 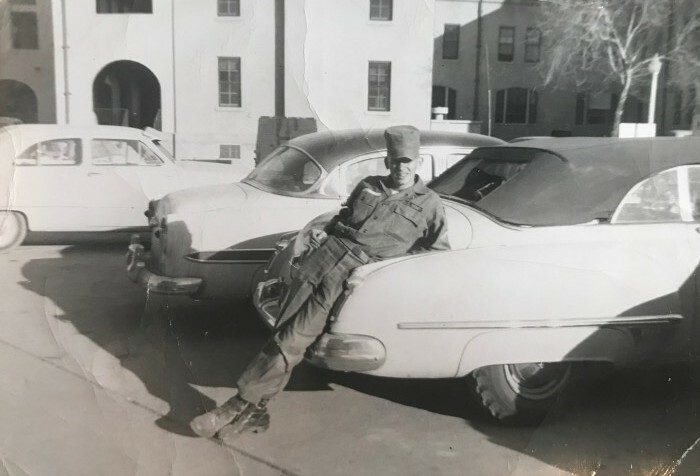 He played for a U.S. Army travel baseball team, a competitive military league where his standout performance earned him an invitation to the Washington Senators. A letter carrier for the Newton Post Office until his retirement after 36 years, Paul was the “quintessential postman,” where everyone knew him, loved him and relied on him. Most importantly, Paul’s greatest contribution in life was his role as a devoted and loving husband, father and grandfather. He will be forever loved and missed by his family. Hamel-Lydon Funeral Chapel of Quincy will host visiting hours at Roberts and Sons Funeral Home, 30 South Street, Foxboro, on Thursday, April 11th from 4pm-7pm. Funeral Mass will be on Friday, April 12th at 10am at St. Mary’s Church, 58 Carpenter Street, Foxboro, followed by burial at St. Mary’s Cemetery, Mechanic Street, Foxboro. In lieu of flowers, please support injured veterans and their families with a donation in Paul’s name to the Bob Woodruff Foundation, 1350 Broadway, Suite 105, New York, New York 10018 or complete a downloadable donation form at https://bobwoodrufffoundation.org.